Here at Yatzer, we have a certain passion for the glamour and drama of Art Deco. 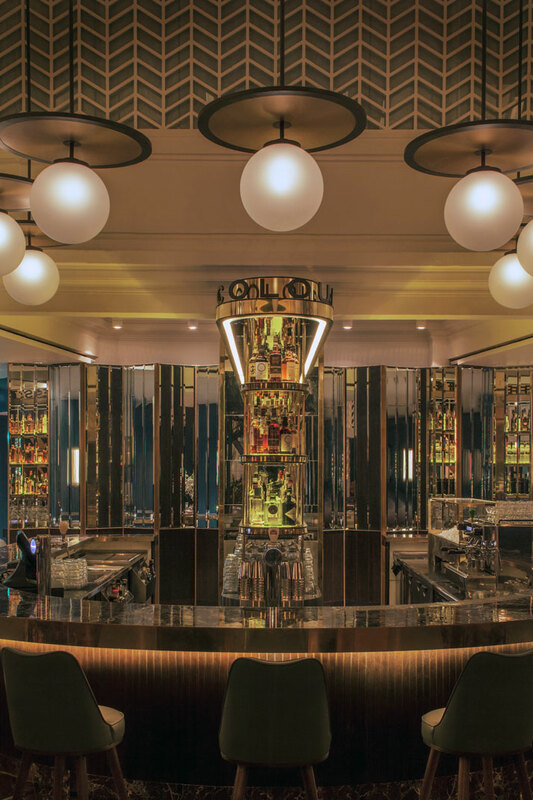 It was therefore only inevitable that we would instantly fall in love with the atmospheric decoration and ambience of The Black Swan restaurant and bar in Singapore’s Central Business District. 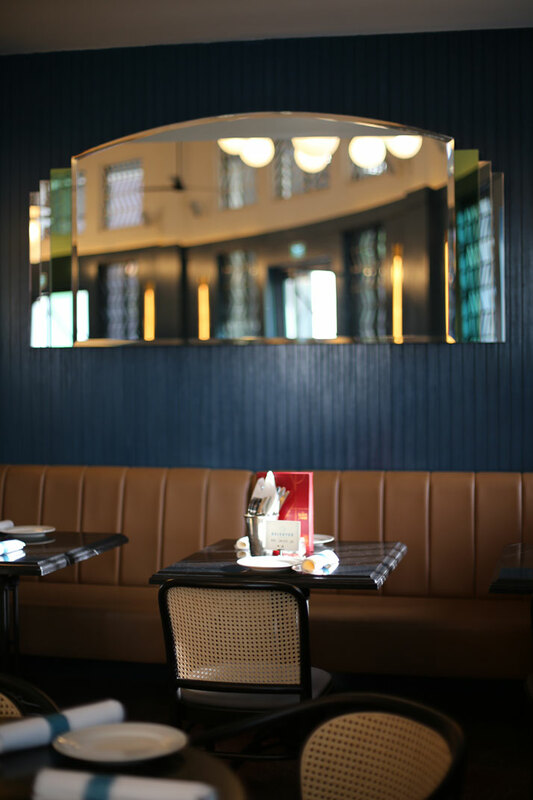 Situated in a 1920’s building that used to house the headquarters of the Kwangtung Provincial Bank, The Black Swan was designed by Singapore-based design studio Takenouchi Webb, utilising a palette of materials and patterns inspired by the venue’s history and colonial-era aesthetic. photo © The Black Swan, Singapore. 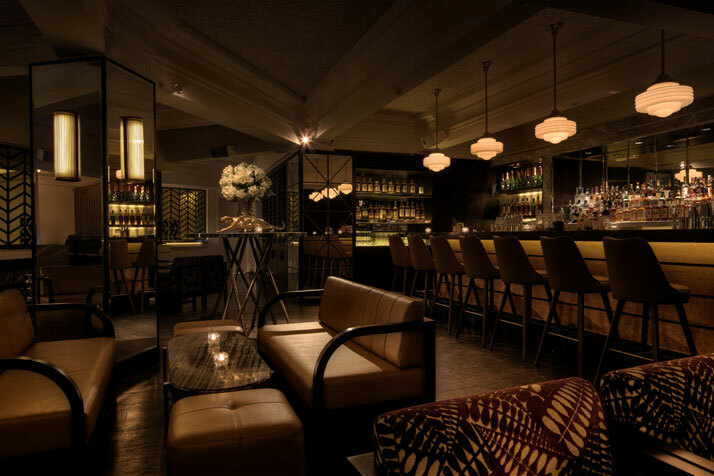 Brass, marble and terrazzo, together with high-gloss veneers were used throughout the space in various combinations, while bespoke sculptural light fixtures were designed especially for the project. 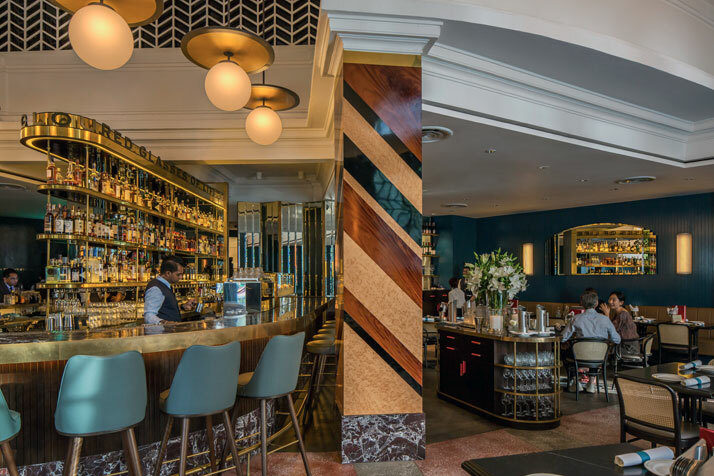 On the ground floor, the sleek, marble-clad horseshoe bar (the venue’s pièce de resistance) shares the room with the main dining area, with a chevron pattern decorating the windows and some of the walls. Up on the mezzanine a separate bar, The Powder Room, features some darker hues in order to create a different and more relaxed atmosphere from the restaurant below. 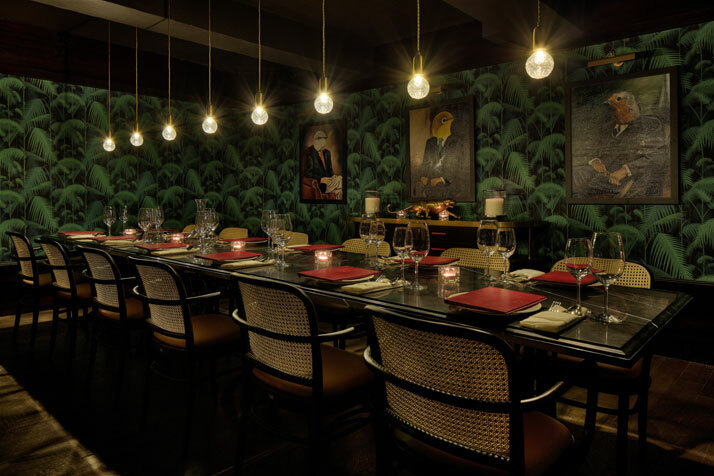 The Black Swan also includes a private dining room that seats 12 downstairs in the basement: through a concealed entrance, diners descend via a concrete corridor into the former bank’s vault, for an unforgettable dinner in true film-noir style.